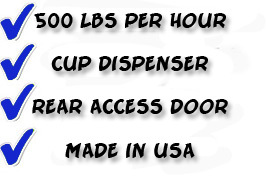 Our smallest and least expensive cabinet machine, but full features. easy to move. Heavy-duty construction. BONUS-Includes Snow Cone Dipper $10 Value!